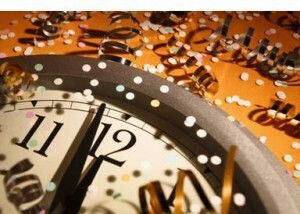 The Davenport Public Library will be closed December 31 and January 1 in observance of the New Year’s holiday. Both buildings will be open their regular hours, 9:30am – 5:30pm, on Saturday, January 2nd. 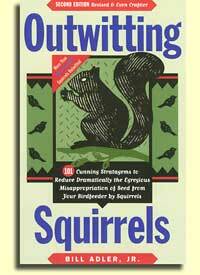 More favorite books from 2009 from our Blogging Librarians. Lynn: Home Safe was my favorite book of the year because, once again, Elizabeth Berg writes so beautifully about the small moments of daily life. I loved the writing group that the main character teaches and was intrigued with her dilemma – to stay in Oak Park or move to a perfect house in California that her late husband built for her. Lynn blogged about Elizabeth Berg speaking at the Moline Library here. 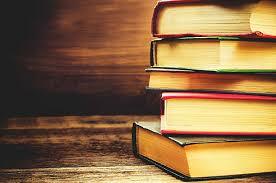 Tana: My favorite book this year was The Glass Castle, a memoir by Jeannette Walls. I couldn’t put it down – I found it incredible that she not only survived her childhood, but that she was able to become a very successful adult who still obviously loved her parents. I can’t wait to read her new book about her grandmother, Half-Broke Horses. Ann: My choice is The Art of Racing in the Rain by Garth Stein. Narrated by Enzo the dog, it is about a family that is torn apart by tragedy and betrayal, then slowly brought together again by love. It is by turns heartfelt and heartbreaking and it’s a book that I still think about often, months after reading it. It made me cry, but it also made me laugh and it made me hopeful. You can read more about it here. Before we ring in the new year, let’s take a quick look back at 2009 and list some of our favorite books of the year. Our Blogging Librarians talk about the book that stood out to them this past year, although these books weren’t necessarily published in 2009. You’re sure to find some great titles to add to your to-read list. And watch tomorrow’s post for information on a contest – you could win two tickets to the Figge Art Museum! Rita starts us off with Garden Spells by Sarah Addison Allen, a story of magical realism. In a garden surrounded by a tall fence, tucked away behind a small, quiet house in an even smaller town, is an apple tree that is rumored to bear a very special kind of fruit. In this luminous debut novel, Allen tells the story of that enchanted tree and the extraordinary people who tend it. Rita says “This book made me feel good. It is magical, southern and romantic without being silly.” Rita wrote more about it here. Bill considered choosing Methland (which he blogs about here), but it ended up being the runner-up to it’s polar opposite, Drinking with George: a Barstool Professional’s Guide to Beer by Geroge Wendt. 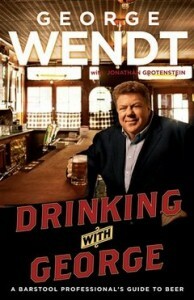 “Under one set of covers, Wendt gives you a mini-biography, a slew of interesting beer facts, funny beer anecdotes from his own life, and lighthearted fare regarding the 5.5% ABV antics of his Hollywood friends.” Read Bill’s complete post here. Amber’s choice: The Lost Art of Keeping Secrets by Eva Rice tells the story of Penelope, a young woman who feels her life will forever be average when she suddenly gets roped into sharing a cab with a free-spirited socialite named Charlotte. Penelope and Charlotte quickly become close friends over their shared love for American crooner Johnnie Ray, and soon Penelope is wearing Dior, attending posh parties with Charlotte’s cousin Harry, and becoming a confidant for Harry’s mother. Imagine if Pam from the Office suddenly found herself hanging out with Serena from Gossip Girl, a jaded Edward Cullen, and Whoopi Goldberg. Penelope’s setting and circumstances: living in a romantic, rundown English estate with an eccentric single-parent and lots of financial woes, reminds me of my favorite book of all time I Capture the Castle by Dodie Smith. Pure loveliness. Watch for more Favorite Books – and a contest! – in tomorrow’s post! The Davenport Public Library will be closed December 24 and 25 for the Christmas holiday. We’ll resume our regular business hours on Saturday December 26, 9:30am to 5:30pm at both the Main Library and the Fairmount Branch Library. Wishing you a safe and happy holiday! In searching for something new to read in celebration of the season, I came across this beautiful picture book by Susan Wojciechowski. The author had worked as a school librarian and admitted that “every December, I read the same two or three classic Christmas stories aloud to the students. 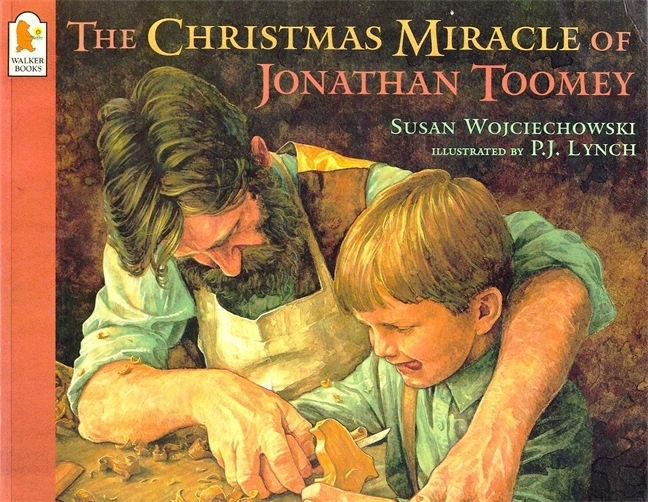 I wanted another special one to read aloud, so I tried to write my own.” She has succeeded with The Christmas Miracle of Jonathan Toomey. This is a lovely book, handsomely illustrated by P.J. Lynch, who actually traveled from his home in Ireland to do research at a Vermont museum to further authenticate his artwork. He too, succeeded. In a nutshell, Mr. Toomey is a gloomy woodcarver whose wife and baby died. He is approached by the widow McDowell and her son who ask him to carve a nativity scene to replace one lost in a recent move. During the time that it takes to carve the set, Mr. Toomey not only comes to terms with his grief, but he also begins to appreciate his life anew. A touching story and recommended for children and adults alike. That wintry landscape means difficult times for our feathered friends. While some birds fly south for the winter, many common Iowa backyard birds stay – chickadees, song sparrows, cardinals, juncos – and stick it out through the brutal cold and snow. You can give them a helping hand – and in the process get a chance to enjoy watching them up close – with just a few simple steps. Two of the most important things to provide are shelter and water. 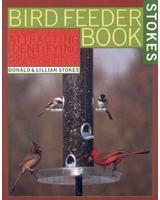 Shelter for the birds can be a brush pile, or vines or perennials that you don’t cut down in the fall. Providing water during freezing temperatures can be more difficult; heaters for bird baths available, or simply keeping some water open by hand will also do the trick. Imagine a race of superhumans capable of tearing off 300-mile jaunts on foot in fits of blinding speed than span days on end with little sustenance. They exist in a remote region of the planet Earth away from all human beings. They are impervious to most disease and live to an extraordinary age. Oh yeah, they don’t wear shoes. Now, stop imagining. They are the Tarahumara tribe from Mexico’s Copper Canyons. Perhaps the secret to their powers is their geographic remoteness or lack of roads to their hidden homes carved out of rock. To get even somewhat close to the Tarahumara requires traversing perilous terrain guarded by bands of murderous drug cartels. The author of Born to Run: A Hidden Tribe, Superathletes, and the Greatest Race the World has Never Seen, Christopher McDougall, is an aspiring runner plagued by injury. He seeks out this mythical people to learn of their secrets. He discovers a peaceful and protectively withdrawn people that crosstrains for their multimarathon races with gallons of corn beer and nightlong dancing jags. What’s amazing about this New York Times bestseller is that isn’t fantasy at all. If you’re like me and associate Truman Capote primarily with In Cold Blood, you might be pleasantly surprised to find something totally different in his “tiny gem of a short story,” A Christmas Memory. It fits the bill if you are looking for something meaningful yet humorous, and something nostalgic but not excessively sentimental. The story is largely autobiographical, a classic memoir of Capote’s childhood in rural Alabama in the early 1930’s. Until he was ten, Capote lived with distant relatives and this is his recollection (written in the present tense) of the time spent with a favorite cousin, Miss Sook Faulk, when he was about seven. Sook is a simple, older woman (perhaps mid-sixties) and is herself much like a child. Together they make fruitcakes — some for friends and neighbors, some to be shipped away. They count the money they have saved over the year (somewhere between $12.73 and $13.00) and decide they have enough to purchase all the ingredients, including a quart of “sinful” whiskey. Afterwards, they get a little tipsy on the leftover moonshine. They also chop down their own Christmas tree and end up making kites for each other as presents. The kleenex part comes at the end when Buddy is sent away to military school, never to see Sook again. 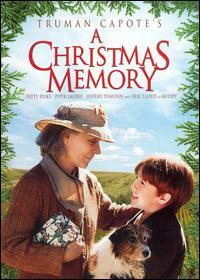 The Davenport Library also has a DVD version of this story, starring Patty Duke as Sook. Unchararcteristically, the movie actually has more character development than what is actually revealed in the sparse print version. However, the same message still comes through in both — that friendship and caring for each other, no matter the gap in years — never goes out of style. Need some ideas for your Christmas Cards this year? May I suggest checking out the Archives of American Art’s current exhibits on Holiday Cards by Artists–Don’t worry, you don’t need to go to New York or Washington, D.C. to see the magic! You can view highlights from the exhibits at both the Archives of American Art’s website and at the Smithsonian Magazine’s website. I have very recently become obsessed with Christmas cards created by Artists for their personal cheer-sending needs (my two ephemeral obsessions previous were bookplates and dance cards). 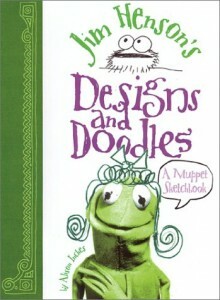 It began this summer while I was reading Jim Henson’s Designs and Doodles: a Muppet Sketchbook by Alison Inches and the book included several images of Henson’s homemade and company Christmas cards featuring the likes of Kermit, the Fraggles and Big Bird. Later in the summer I practically squealed in delight while watching Julia and Paul Child create their notorious holiday cards in the movie Julie and Julia. These artist-made cards fascinate me for multiple reasons: 1. We get to see how artists focus their creativity into specific parameters and who will disregard those boundaries (think Project Runway) 2. We can compare how an artist creates for the market and posterity vs. private and immediate and 3. I just love Christmas cards! But Artists with a capital A are not the only people who make creative Christmas cards! Check out this great book titled Merry Christmas From…150 Christmas cards you wish you’d received by Karen Robert. This book features real families’ portrait Christmas cards–most of which are silly and adorable. My favorite is a photo of three little babies in gingerbread costumes that have been photoshopped onto a cookie sheet and spatula. Season’s Greetings! Bad Behavior has blocked 1696 access attempts in the last 7 days.